(2) BRAND NEW > CAPITOL HILL FLAT PRIME LOC!! Property 1: (2) BRAND NEW > CAPITOL HILL FLAT PRIME LOC!! This property is already 67% full in June. This property is already 53% full in June. This property is already 77% full in June. Property 8: Modern Belltown with Amazing Views in every room! This property is already 57% full in June. This property is already 70% full in June. Property 19: (6) TINY (house) FLAT > URBAN MODERN > PRIME LOC!! The Autobahn: 3 bed/2 bath, great outdoor space! Property 20: The Autobahn: 3 bed/2 bath, great outdoor space! The Gallery: 3 bedrooms, each with en-suite bath! Property 23: The Gallery: 3 bedrooms, each with en-suite bath! Property 27: Roomy Studio in Belltown Court! Fabulous Decor! 100 Walk Score! The Belltown Court Sunset Suite with Water Views and Room for 6! 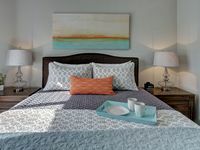 Property 31: The Belltown Court Sunset Suite with Water Views and Room for 6! Property 32: 3 Bedroom, 2 Bath Metropolitan Penthouse w City Views Steps to Waterfront and Pike Place Market! Bright and Decadent - Courtyard-Facing Unit Ideal for Families and Group! Property 33: Bright and Decadent - Courtyard-Facing Unit Ideal for Families and Group! This property is already 60% full in June. This property is already 64% full in June. This property is already 52% full in June. This property is already 79% full in June. This property is already 50% full in June. The Elektra Hillside Flat in the Heart of the City, Steps to the Convention Center! Property 50: The Elektra Hillside Flat in the Heart of the City, Steps to the Convention Center! I stayed with 4 friends at this property, and it was perfect. Great location near bars, restaurants and shops and very clean/comfortable accommodations. The rooftop was very nice to have as well! We really enjoyed this condo and the location is great. The queen sized bed is very comfortable and my son slept well on the pullout couch. Terrific people watching from the windows and balcony. Nice pool and hot tub area. The condo is very clean. Shower is great! Macrina's is a must for an early morning coffee and pastry. It is an easy walk to Space Needle to the North and Pike Place along the shore. Just be aware that many restaurants in Seattle (and Washington state) are a very strict 21+ if they serve alcohol of any type. The restaurants we did find in the area were great! Yes, I would recommend this condo to anyone looking at Belltown.